Varsity Driving Academy is proud to offer our services to Foothill Ranch. We aim to be #1 in driving schools of the area and to do that we hired an excellent staff. We focus on safe driving practices and defensive driving to ensure our students safety and the safety of others on the road. Check out our services below and how to sign-up. 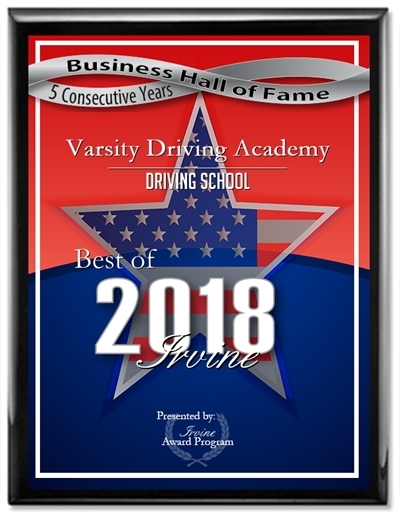 Welcome to Varsity Driving Academy Foothill Ranch! In Foothill Ranch we offer free pick-up and drop-off for behind the wheel training sessions. Parents can relax knowing that our certified instructor has picked up their child and are teaching them safe driving. The first step to getting your driver’s license is to get your learner’s permit. Sign up for our online course (or if you prefer, our in-class driver’s ed) and learn everything you need to know to pass the DMV written exam. The online course is 30 hours, DMV-approved, interactive and informative, and the best part is, you can work at your own pace, wherever and whenever you feel like it! When you’re finished, we’ll issue you a certificate of completion, which you’ll take to the DMV for your written test. If classroom learning is a better way for you to learn, we offer three summer sessions. These sessions are taught by our certified trainers. These sessions fill up fast so sign up early and make sure we save a seat for you. Congrats! You’ve passed your DMV written exam and earned your learner’s permit! All you have to do now is take your first 2-hour driving lesson with a certified instructor. Your instructor will then validate your permit, and you are free to begin driving with a licensed adult over 25! Our behind the wheel sessions are separated into three, 2-hour sessions for a DMV required total of 6 hours with a trained and certified professional. Students can schedule these to fit into their busy lifestyle and rest assured that any and all questions will be answered during these sessions. You’ve completed your behind-the-wheel lessons and practice driving time. You’re ready to take the DMV driving test – the final step before getting your license! You are probably feeling nervous about taking the test, and you’re not sure what to expect from your experience at the DMV. What if the DMV’s car is completely different than the one(s) you learned to drive in? No worries! With our DMV Package, we will make your DMV appointment for you, prep you for the road test, pick you up an hour early and take you, providing support and encouragement – AND you can use our car for your driving test! If you have any questions, please ask them, contact us at (949)-387-4400. 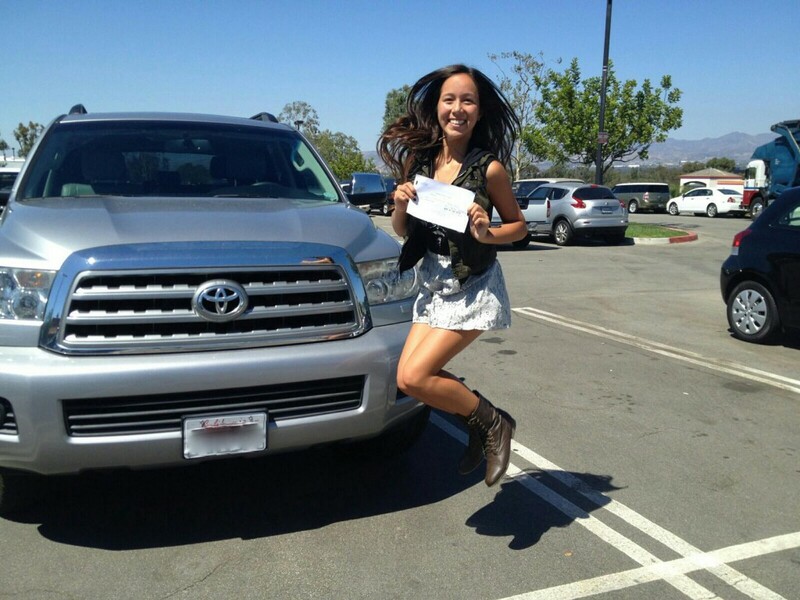 Anja S. from Irvine and attends University High School passed her behind-the-wheeldrivers test at Laguna Hills DMV. Great job Anja and love the picture!